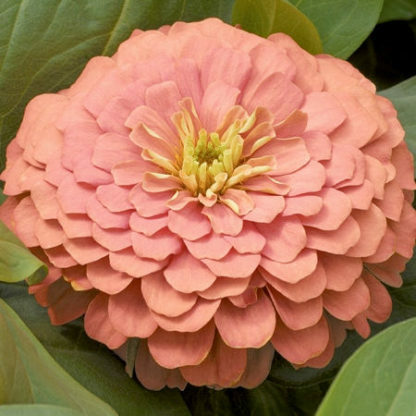 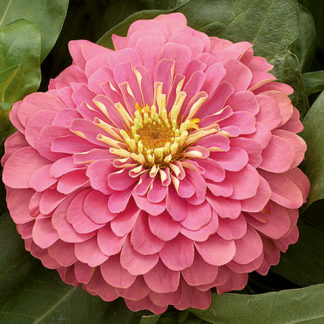 (12-14”) Magellan Salmon Zinnia was bred to produce cut flowers on a dwarf plant. 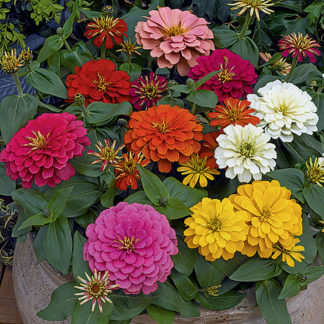 The 4-5” flowers of this beautiful zinnias series are fully double. 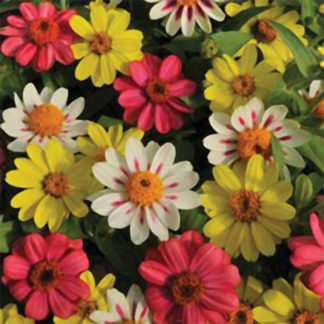 Excellent in flower beds and containers. 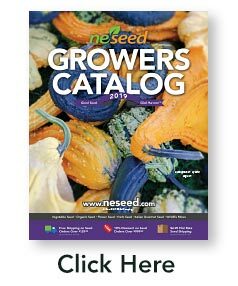 Plants start blooming profusely 6 weeks from seeding.